On-going rezoning work by Hastings District Council is due to bring 130 more sections to the market in both the short and long-term. Council approval of sub-division for small and large housing developments across the district has yielded more than 50 residential lots, with approval given for a further 80. Additional developments lodged by landowners with Hastings District Council are expected to yield a further 50 lots. Closer to market are an estimated 30 sections, comprising the remaining sections in Lyndhurst Stage 1. Lyndhurst Stage 2, with an estimated 270 lots, is close on its heels, with Hastings District Council breaking ground on infrastructure in Lyndhurst Rd in November. That will see storm water, sewer and drinking water pipes, as well as power and telecommunications infrastructure, installed over a five-month period. Further ahead, two subdivisions currently going through the resource management processes include Iona in Havelock North and Howard St in Hastings. Combined, they are expected to yield approximately 500 sections. “There is a good mix of new subdivisions, rural lots and infill subdivisions out there and more on the way,” said Council’s economic development and urban affairs committee chairman Damon Harvey in a press release. 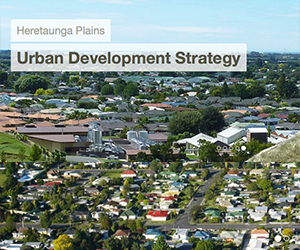 All development in Hastings and Napier is guided by the Heretaunga Plains Urban Development Strategy (HPUDS) which has been in place since 2010 to protect the region’s growing soils from uncontrolled urban spread.